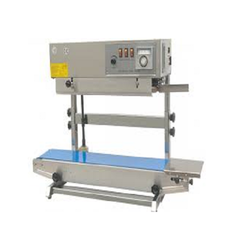 Pioneers in the industry, we offer vertical band sealer machine, band sealer horizontal machine, pneumatic band sealer, band sealing machine and continuous band sealing machine from India. 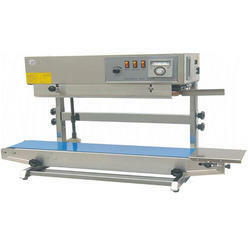 We are involved in present an exclusive range of Vertical Band Sealer Machine. Our products are available in diverse specifications that meet on exact requirements of our patrons. 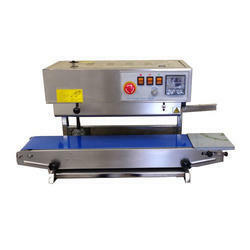 We are offering Band Sealer Horizontal Machine to our clients. We are providing our clients with an exhaustive range of Band Sealing Machine. Our range features sturdy construction, corrosion resistant body and thereby ensures a long service life. Its high strength and packaging accuracy makes it extensively demanded for sealing foods, chemicals, hardware parts, agarbattis and other items. From the wide range of our products, we offer vertical Continuous Band Sealing Machine. 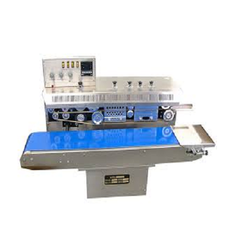 These sealing machines are particularly designed by our veteran professionals in sync with universal accepted norms using most favorable quality components and refined technology under the direction of our quality specialist. Along with that, these sealing machines are carefully checked on a mixture of parameters of quality to make the certain high performance at users end.